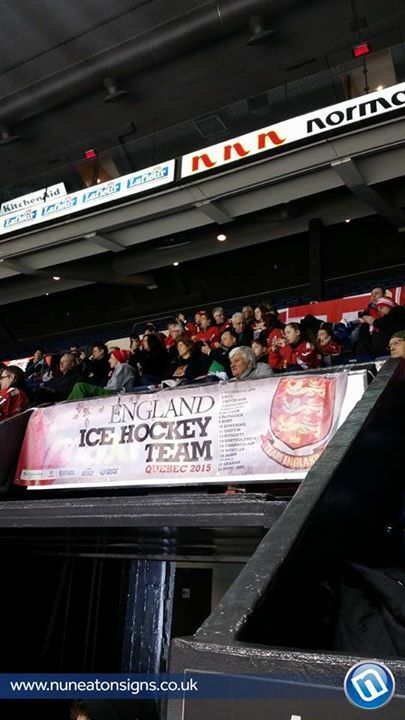 Nuneaton Signs banners go global! Nuneaton Signs Limited have supported the Coventry Blaze Ice Hockey team in the past, along with a member of the successful tour team that went to Canada, Liam. Liam is 12 years old and is a member of the “Blaze “ under 13 team, as well as the UK Conference side, along with his appearances for the National team. 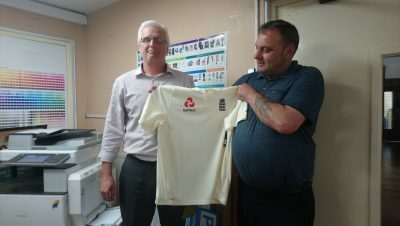 “Liam is starting out on a long road to achieve the standard necessary to become a member of the “Blaze” first team but his determination and dedication will get him through”, said his Grandfather Pete, who works in the engineering department at Nuneaton Signs.